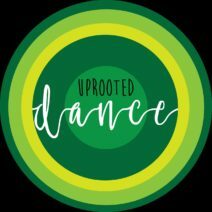 UpRooted Dance, based in Montgomery County, Maryland in the Washington, DC metro area, creates intersections between dance and other art forms. Artistic Director Keira Hart-Mendoza collaborates with dancers, visual artists, musicians, technology, theater, and design. UpRooted’s colorful fantasy world creates expressive visually striking work. Movement, images, sounds, and words allow UpRooted Dance to connect to audiences through storytelling and immerse audiences deeper into the work. The versatility of the company allows their work to be presented in new and creative contexts both on and off the stage.